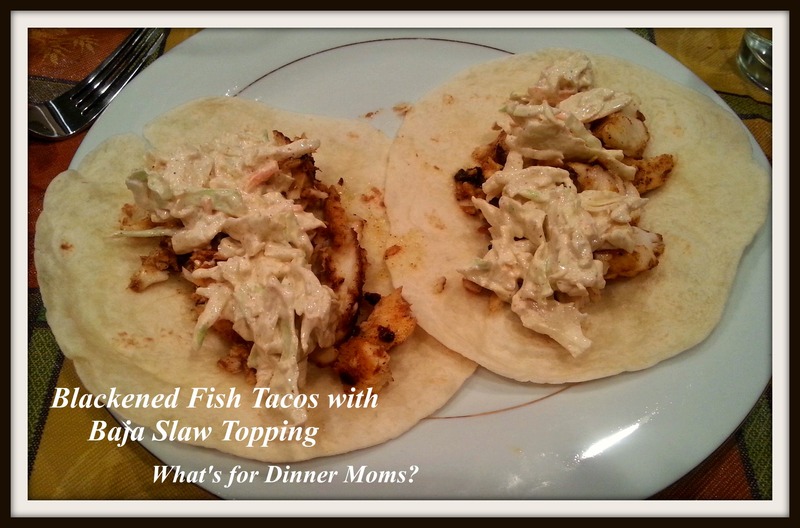 A Few Things I Have Learned with My Blog – What's for Dinner Moms? When I was little I used to love to play with food. Often to the exasperation of my mother who would say how expensive all that food and ingredients were. I understand that now, I didn’t then. You don’t want to waste your food budget on items that don’t taste good or use exotic ingredients you can only use once. The other day I gave my partner (a better cook since we began this experiment but still an advanced beginner at cooking) a recipe to make for dinner. I was busy doing something and had trouble getting to making dinner. I handed her the recipe and walked away. Well, we ended up with something completely different for dinner as she never read the full recipe first. I never thought I needed to say that but I guess we all need a reminder from time to time. The recipe called for ground beef, cooked first the ingredient list said. In the directions it was to be formed into a loaf and baked first. You know what she did? Saw the cooked first part and started cooking it crumbled on the stove top. So, she learned and I was reminded read the entire recipe before you begin. In the four-ish years that I have consistently been writing this blog I have had far more hits than misses with my family as far as meals go. I believe just about everything can be fixed or saved if it doesn’t end up being a dish you or your family like the flavor of. In four years I have thrown two dishes into the trash because they were so bad – one was a Weight Watchers-esque Shrimp Scampi recipe and the other was an idea I had for a Ketchup Brown Gravy. I cried over both. But I learned. Taste along the way. If you feel a recipe going off the rails for you stop and assess where you are. Will my family like this and eat this? What needs to change for them to like this dish? Sweeter? More tart? Sometimes it comes down to adding more salt or pepper for your taste. Taste is a very personal thing. Does your family like their pasta more Al dente? Cook it a bit less in a casserole or add a bit less liquid to the dish. Only you know your taste and what they like. Try something new once in awhile. Give your family the words to properly critique the dish. Do they not like the texture? Does the pasta need to be cooked a bit less to have more bite? Does it need more flavor? What spices may make it taste better? These are all ways to get your family involved and find out what they really like. My son is more texture oriented, while I want more tart flavors with lots of vinegary goodness. It just depends on each person and the more you can teach them the different components of the dishes the more you will understand what they really like and can feel confidence branching out in getting them to try new foods and dishes. It is true! In encouraging the “kids” to say what they would change they are much more interested in the food itself! I tried the salmon tacos with lemon and feat cheese sauce tonight. We all loved it!!! Great recipe, Marci! That’s a great way to shift their attitude!! Should have read that some years earlier… lol!! Thanks, Erika. It has definitely been a journey for us. And you managed it well!! Excellent advice! I’ve also learned to read the comments section of online recipes, they often help me avoid a boring or disastrous outcome with their personal tweaks to the recipe! Yes! Always find helpful advice there! That is a great idea! I may do that the last weekend of each month. Thank you so veryuch for the idea. Your so right. I had a recipe to some kind of Chinese style stir fry and it was great but it required that I buy this Asian plum sauce. I bought it and it was like $10 for the jar. I only used a tablespoon of it in the recipe and since then its been sitting in my fridge until I choose to throw it out. The recipe was good but not something I’ll make every week. What a waste of money. In the future I need to remember, as your pointing out, don’t buy expensive ingredients that I wont use. I would rather make some inexpensive but tasty and cost effective dinners for my family instead. Yes! If I am going to buy an ingredient such as that I want 3-5 different dishes that I can use it in over the course of time the ingredient is still good. Also, things that are not so much the same we get sick of it. Yes! When people complain that it was too spicy or needed more salt then put it in! Make it yours so that you and your family will be happy! I HIGHLY encourage everyone to do this. Great advice! I need to get better at writing the ingredient quantity when I write my grocery list. I made a dessert yesterday that called for 4c of confectioners sugar but didn’t write that on my list when I went shopping a few days ago, I just put confectioners sugar. I bought one, 16 oz box and already had about 1/2c in my pantry. Luckily the mixture was super sweet and didn’t need more so it actually turned out ok. I’m not always so lucky.